Scenius At and Cashmere Radio present Chicago jazz saxophonist/composer Ken Vandermark and NYC trumpet player Nate Wooley in concert at ACUD Club. The artists will perform an acoustic set both solo and together. ... had been operating in each other's orbits for several years, having worked together with Paul Lytton, Joe Morris, Agusti Fernandez, and Terrie Ex, before putting together their duo project in October 2013, when they toured the United States for the first time. With this unique ensemble, they deal directly with each other's iconoclastic compositional and improvisational vocabularies, and have created a book of original material that takes inspirational cues from the under-appreciated work of John Carter and Bobby Bradford (two of their compositions are part of the group's repertoire). 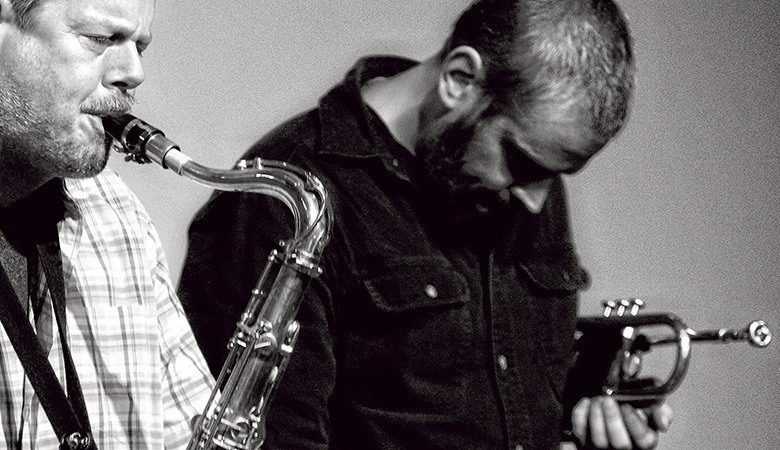 Vandermark and Wooley have worked together to create an organic combination of the jazz tradition, free improvisation, and modern composition, and have then placed it into the raw and intimate context of this duo.